The Apple is Pomaceous fruit meaning Pome in botany and is a type of fruit produced by a flowering plant. Examples of Pome fruits include Loquats, Pears and Quince. The Apple tree is part of the Rose family (Rosaceae) and it originated in Central Asia. Apples have been grown for thousands of years in Asia and Europe. The Apple was brought to North America by European Colonists and has become one of the most popular fruits in the US, as an example, New York City is affectionately called “The Big Apple.” There are 7,500 known cultivars of apples. However, only 100 are commercially grown in the US. The most popular apple varieties are Cortland, Red Delicious, Golden Delicious, Empire, Fuji, Gala, Ida Red, Macoun, McIntosh, Northern Spy, and Winesap. Click here for a list of Apple varieties from A to Z. The largest producers of Apples are China, the United States and Turkey followed by Italy, India and Poland. About 60% of the apples grown in the US come from Washington state. New York is second, growing about 10% of the apples in the US. It is also long rumored that Isaac Newton discovered the “Laws of Gravity” when an Apple fell on his head. For more fun facts about apples like why does an apple float click here and here. Click here to learn more about Apples. Did you know that apples are one of the most highly contaminated crops when it comes to pesticides? That is why the Apple aways tops the Environmental Working Group's Dirty Dozen list. The EWG tested over 700 apples and found that 98% had pesticides on them and that was after they were washed! It was not just one type of pesticide found but 48 different types. To learn about why Organic Apples are preferred to Non Organic Apples read Forbes Magazine piece "Five Reasons to Eat Organic Apples: Pesticides, Healthy Communities, and You" and Eat Life Whole "Organic Apples vs. 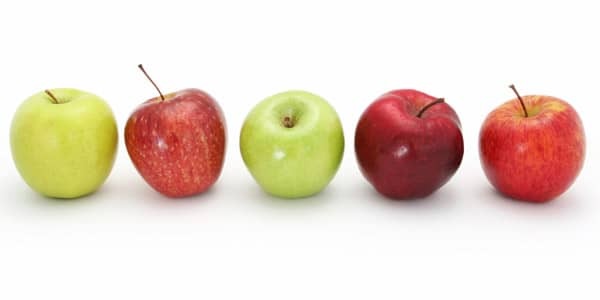 Regular Apples — Does it really matter?" In the United States, we have access to Organic Apples year round. Refrigerated apples will last much longer than those left at room temperature. Apples emit ethylene, a naturally occurring gas that speeds ripening. To prevent apples from speeding up the ripening process of other items in your produce drawer, store them in a bag. Conversely, if you want to speed up the ripening of bananas (or any other ethylene sensitive produce) you can place an apple in a bag with the bananas. 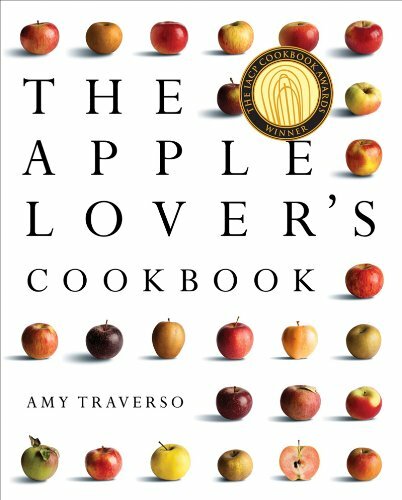 To maximize an apple's flavor, let it come to room temperature before eating it. Everyone has heard the saying “An Apple a Day keeps the Doctor Away.” This popular phrase is proving to hold some merit. High in Fiber and Vitamin C, Apples are a sound choice for the entire family. The Phtyonutrients in Apples can assist in the regulation of blood sugar and they are an excellent source of Fiber. When combined with their nutrients they provide benefits that would be attributed to high Fiber foods, namely the prevention of heart disease. Apples are also known to have anti-cancer and anti-asthma benefits. To read more about the health benefits of Apples click here. The Apple is a very versatile fruit in regards to it’s culianary applications. In addition to being consumed fresh, Apples can be made into butters, jams, preserves and jellies. Apples can be Stewed and Poached, made into Compotes and Sauces. They can be Baked, Braised, Sauteed, Roasted, Grilled and the list goes on. Click here to learn the best way to peel an Apple. For 50 things to make with Apples check out this article from The Food Network.